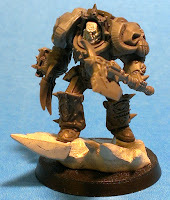 This is the first article in my Chaos Space Marine Word Bearers series. today we will be covering the HQ section of the force. I'm basing this army on the book trilogy by Anthony Reynolds, for me the omnibus is a must read if your into chaos. For my HQ I'm using the two main characters from the books Marduk and Kol Badar. 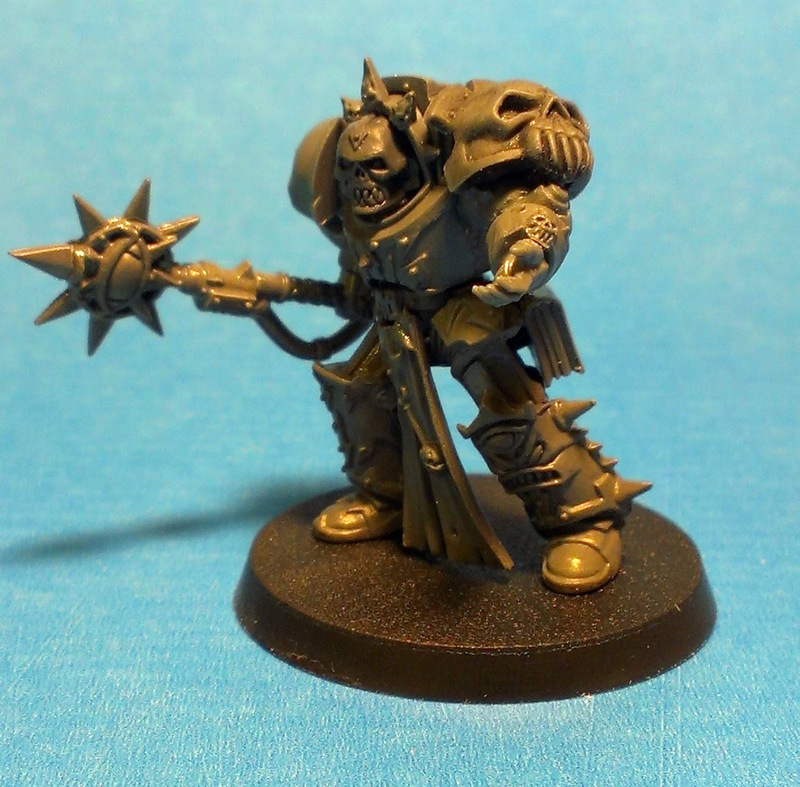 To represent this character on the table you can use a standard Chaos Lord with the following gear. This is simple, just use Abbadon. Everything in his rules matches with the Character of Kol Badar. You just have to fake the weapon type. The only real conversion work I did on Kol Badar was to add two bolt pistols in the lightning claw, so I could represent Abbadon. 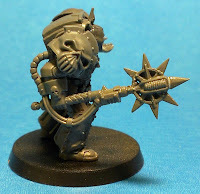 To represent this character on the table you can use a standard Chaos sorcerer with the following gear. 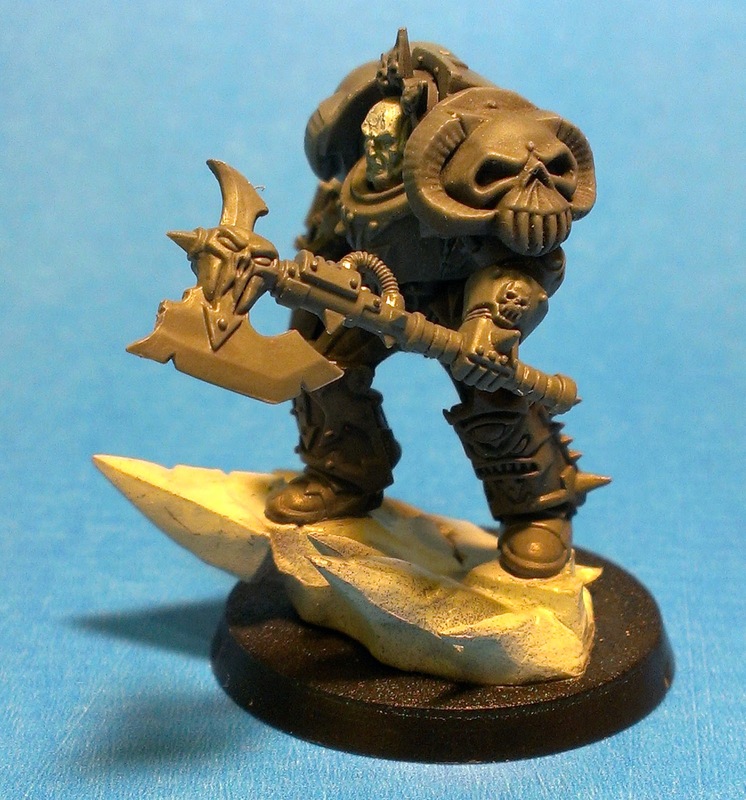 For Marduk as a named character i think Typhus is the best match. Instead of zombies think of the cultists as whipped into a frenzy by Marduk orations. 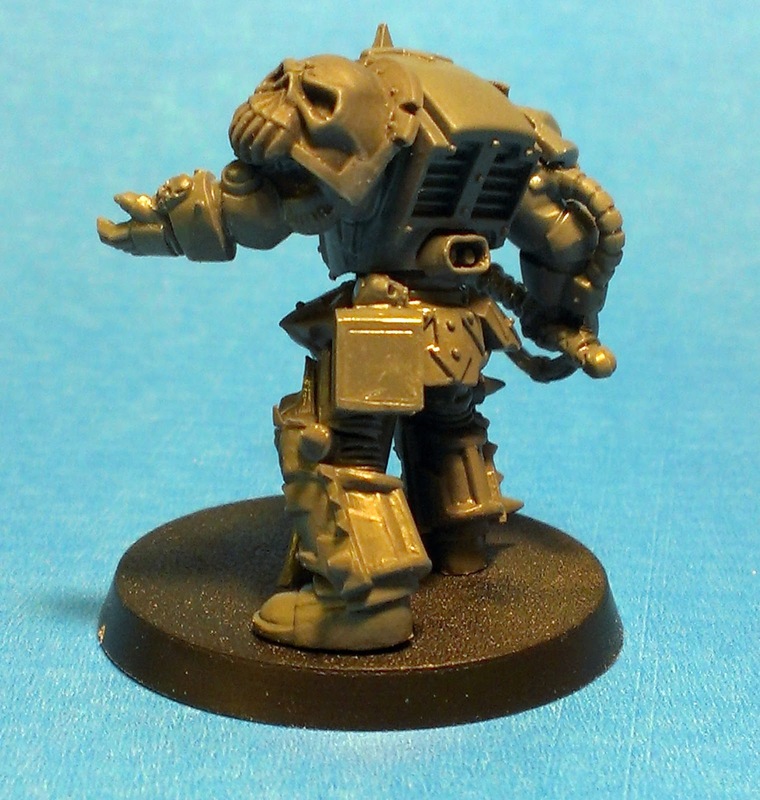 For Marduk I had to represent him in the armour Warmonger granted him. So I started by removing the "rabbit ears' from a skull champion head, for his skull mask(this took a lot of fitting and carving and refitting). 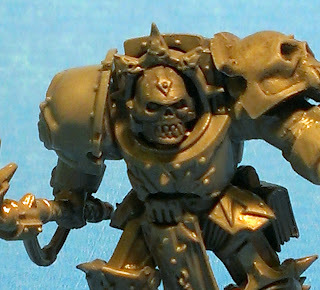 Next I took the storm hammer arm and added it to the modified force weapon head from the chaos lord/sorcerer kit. 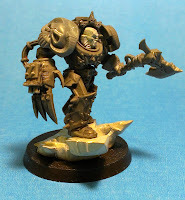 For the left arm i used the sorceress arm from the lord/sorcerer kit but added the hand and book from the paladin kit. All the rest is fairly standard build. This is a fun project and I believe I really captured their personalities in the posing. that's it for now, have fun and see you soon in the 4x8 arena.